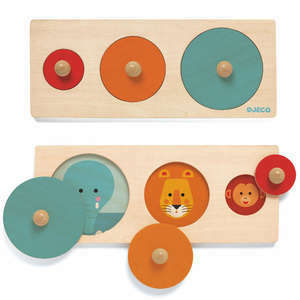 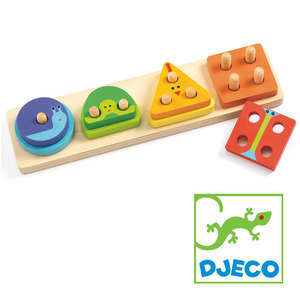 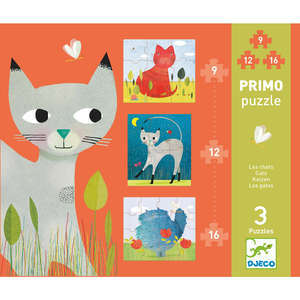 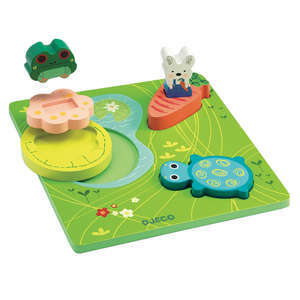 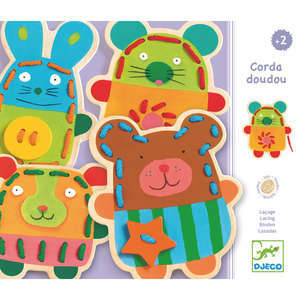 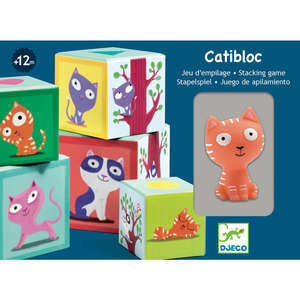 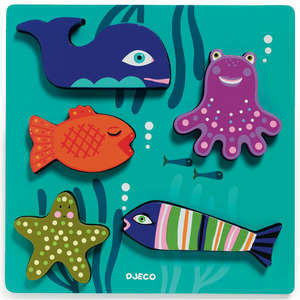 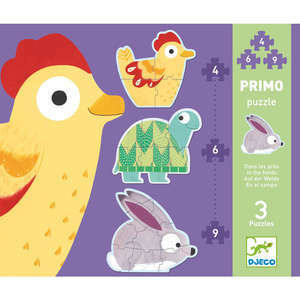 Match the animals to the food they eat in this charming puzzle duo from Djeco. 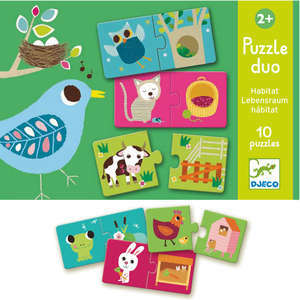 The colourful 2 piece puzzles are beautifully illustrated with 10 different animals and their favourite dinners. 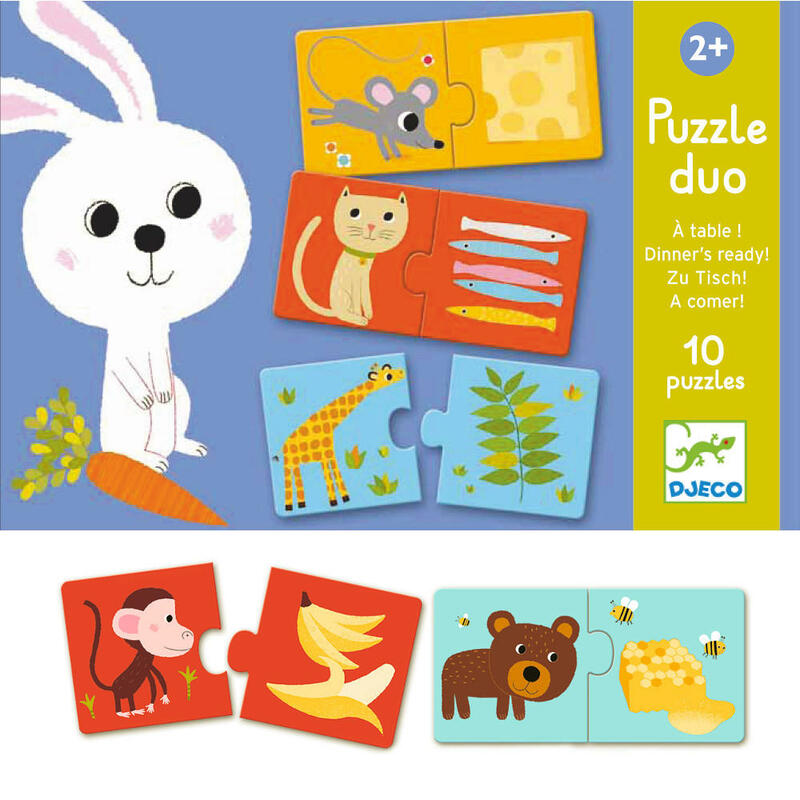 What does the monkey eat? 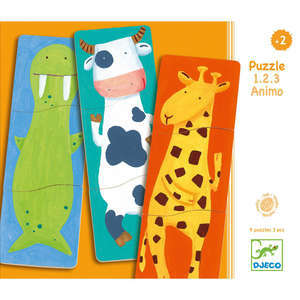 What animal likes cheese for dinner? 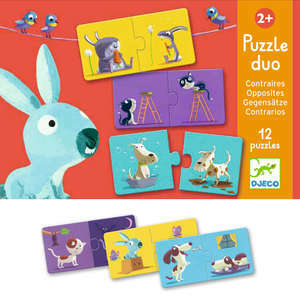 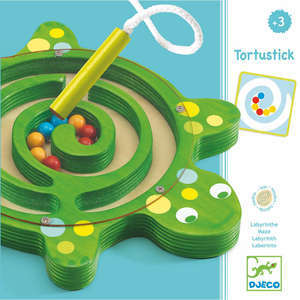 Young children can also match the puzzle duos by colour as the background of each matching pair is the same. 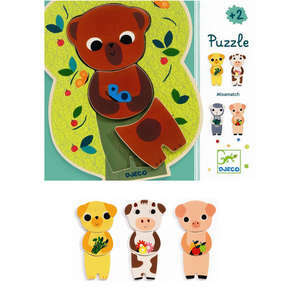 10 puzzles/20 pieces made from chunky glossy card. 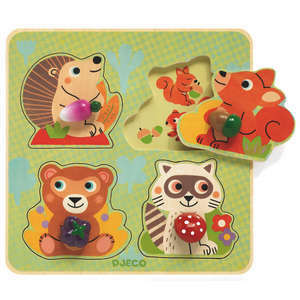 Can you match the animals to their favourite food? 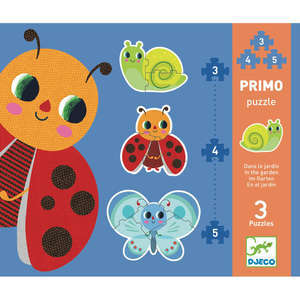 Use the background colour as a clue! 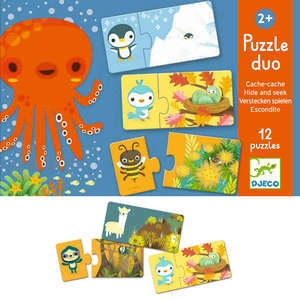 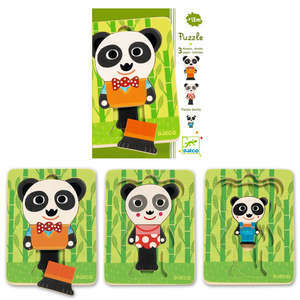 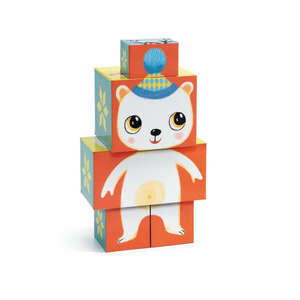 Ten colourful animal puzzles: a cat, bear, mouse, panda, dog, squirrel, giraffe, bee, rabbit and a monkey.